As soon as I set foot in Salzburg, I felt at home. Here was a town I could easily fall in love with, from the imposing Hohensalzburg Fortress overlooking the town, to the idyllic Sound of Music setting of the Mirabell Gardens, to the cobblestoned streets of the Old Town, and I couldn’t wait to explore it. Five hours later, I found myself in hospital being examined by a doctor who looked like he had come from the set of Grey’s Anatomy and having X-rays taken to determine if I had any head trauma. I was right in the middle of one of my travel nightmares (the other being watching an ATM gobble up my debit card), and I wondered why this had to have happened to me. So how did I end up in hospital? It sounds ridiculous to say, but I hit my head by walking in to a pole. In my defence, I was distracted by the window of a Swarovski store when I felt my forehead collide with the shop’s awning. I thought nothing of it at the time – I just banged my head, I’ll laugh it off and everything will be fine. But one of my friends pointed out that I was bleeding, and when after several hours and several plasters the scrape was still not healing, my tour guide took me to the hospital. The doctor examined me, and I was sent to the X-ray room after making a midnight phone call to my parents back home in Australia to discover my tetanus immunisation was out of date (Make sure you know when you were last vaccinated, it makes life much easiest and doesn’t freak out your parents when you tell them you’re in the hospital!). Nine stitches and a tetanus booster later, I was free to go, with plans to get the stitches taken out in Prague eight days later. Despite walking around with a big white plaster stuck to my forehead, I spent my remaining day in Salzburg continuing to fall more in love with it. I loved the fortress, the casualness of the beer gardens, and walking along the river in the bright summer sunshine. 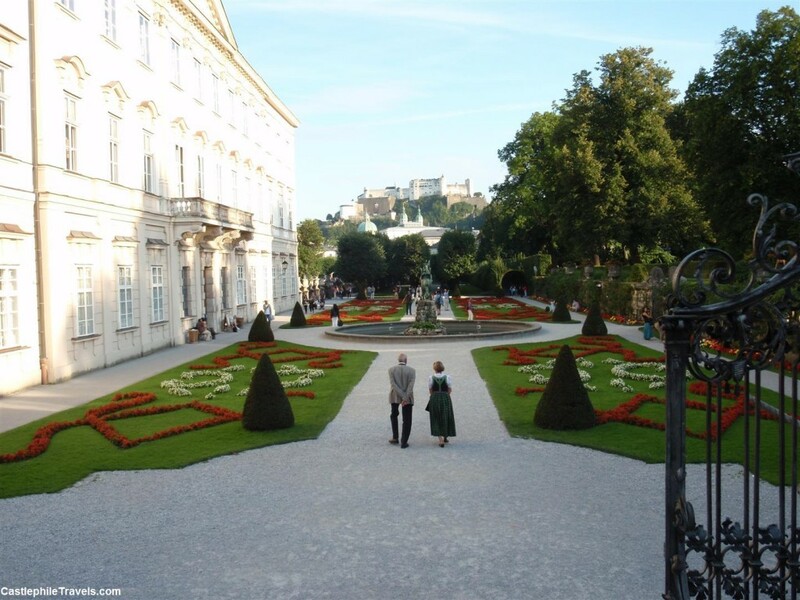 I hope to go back to Salzburg one day and continue exploring this beautiful town. Although next time, I’ll make sure to watch where I’m going! Follow the Castlephile Travels Facebook Page and join our community. Love BlogLovin? Subscribe to the Castlephile Travels Feed on BlogLovin. Copyright © 2014 - 2015 Castlephile Travels . All Rights Reserved.